6.5L Diesel Engine, Automatic Transmission w/Park & Overdrive, 4x4, 10,300 lbs. 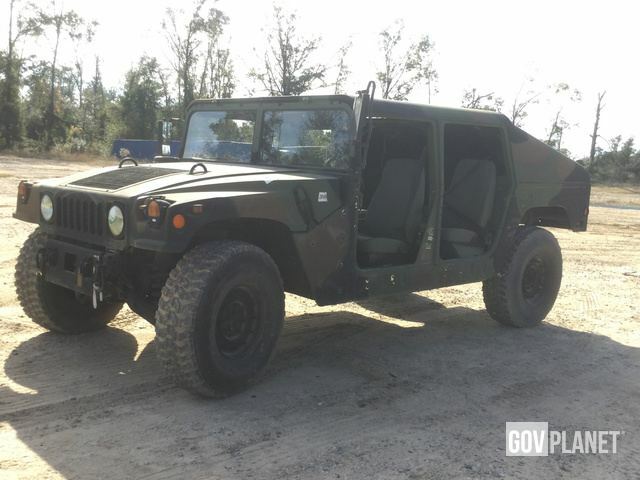 GVWR, 4 Door, Hard Top, Slant Back,Tow Carrier Body, 37x12.50R16.5 Tires. ***No further demilitarization is required. The HMMWV is available for pick up as shown. *** The Humvee sells with a clean SF97. Mirrors The left mirror is damaged. Click here to open photos and videos of this item. Glass Condition No windshield wipers Click here to open photos and videos of this item. Oil Pressure 39 PSI Click here to open photos and videos of this item. Transmission Seepage Click here to open photos and videos of this item.